Lievens was one of Rembrandt's friends and a close artistic associate during Rembrandt's Leiden period. He studied under Joris van Schooten in Leiden and under Pieter Lastman in Amsterdam. He was also active in England (c. 1632-34), Antwerp (1635-44), where he was also influenced by Van Dyck, and Amsterdam. Roseline Bacou, Curator of Drawings at the Louvre, which possesses a number of his drawings, notes that "Lievens was above all a great portraitist, as evidenced by his sensitive yet objective black chalk studies. Many of his portraits . . . equal the works of Cornelis Visscher in sobriety and sincerity and have something of Van Dyck's distinction" (Great Drawings of the Louvre Museum: The German, Flemish, and Dutch Drawings, trans. Marguerite Hugo [NY: George Braziller, 1968], n. 89). This superb portrait is rich in psychological insight intno the sitter. Selected Bibliography: J. Bialostocki, S. Jacob, R. E. O. Ekkart., Jan Lievens. Ein Maler im Schatten Rembrandts (Braunschweig: Herzog Anton Ulrich-Museum, 1979); Vogelaar, de Baar, Moerman, van de Wetering, et al, Rembrandt & Lievans in Leiden ((Leiden: Stedelijk Museum de Lakenhal, 1991; in English & Dutch); Arthur K. Wheelock with Stephanie D. Dickey, E. Melanie Gifford, Gregory Rubinstein, Jaap van der Veen, & Lloyd DeWitt, Jan Lievens: A Dutch Master Restored (Washington DC: National Gallery of Art, 2008. 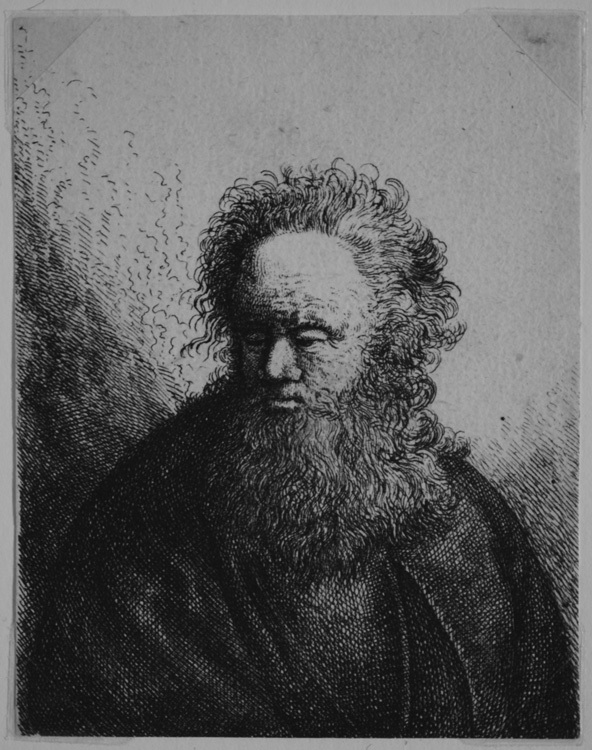 Head of an old bearded man (B. 321) Original etching, c. 1630. Signed I. L. in the plate. The plate also informs us that it was published by S[alomen]. Savery (c. 1594-post 1664), an engraver, etcher and publisher active in the early and mid 17th century. Image size: 189x142mm. Price: SOLD. 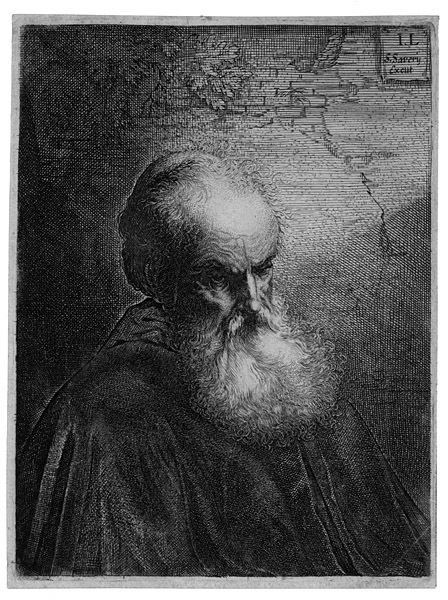 Jan Lievens, attributed, Head of an old bearded man. Original etching, c. 1635. Like so many of Rembrandt's etched portraits, this superb piece is rich in psychological insight into the sitter. Lievens' and Rembrandt's styles were so close that even museums can confuse them (see The Art Newsapaper, 1/09, p. 13). Image size: 100x78mm. Price: $2750.